Several years ago now I was moaning about how writing makes it difficult to do anything else: the writing muse is a very demanding one. Perhaps they all are. I was advised to give up for six months. I tried it, it worked, I’ve kept to it. The advice came towards the end of March, more or less coinciding with the spring equinox. Since then, I’ve stuck to that pattern, writing in the winter and not the summer (although I cheat a great deal, keep a journal, make notes towards future work, read a lot). This, then, is my Persephone life. In the winter I write; in the summer I garden. The reality of course is that I do a great deal of other things besides. Pushing hoovers and hanging up washing are not, alas, seasonal, nor are cooking meals, shopping or earning a living with whatever odd job I can pick up. But in general the pattern is kept, and I like it. I no longer feel drained by writing, or suffer from the feeling that it can stretch on endlessly. I have deadlines, which are very good things to have. The next is 20 days away. A week ago, I decided to rewrite the novel I’d been lovingly polishing since Christmas. 20 days to get it done. Possible? Yes, it’s possible, and how wonderful to feel the pressure of time. But things are never so neat as I’d like them to be. 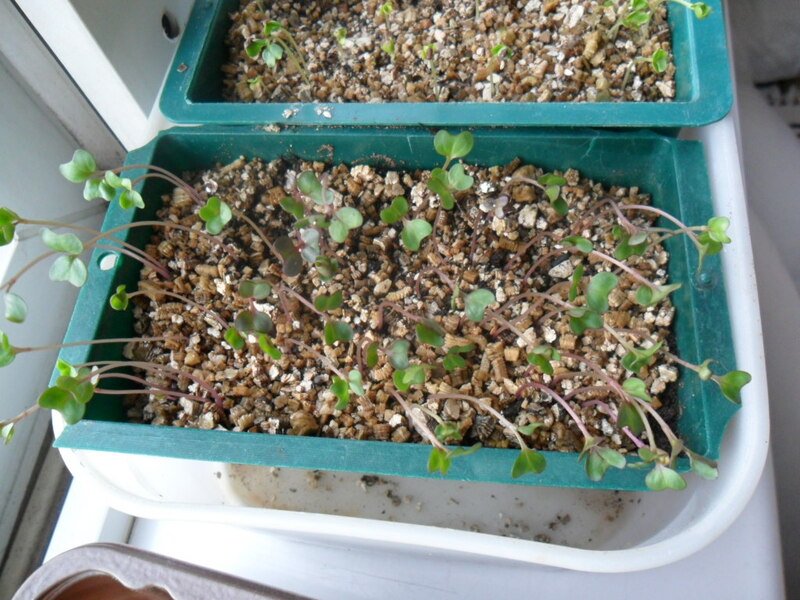 My garden will not wait until the Vernal Equinox: it wants me now. 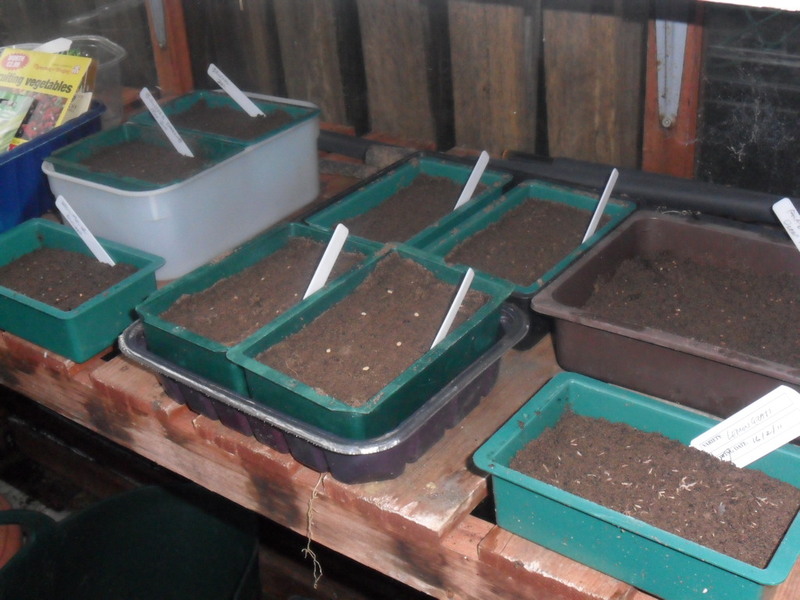 So I’ve sown all the February seeds and, damn it, some of them have come up and need pricking out and potting on. The very muddy potager garden is now weeded but wants its early sowings, thank you. As for the allotment, it’s been so neglected of late I dread to think what it needs, but it’ll be a lot, I know (I’ve just realised what the word ‘allotment’ means). Hold on! I cry. I’ll be free in a couple of weeks! But gardens are like babies and you have to tend to them when they need it, not when you feel like it. Mine are all wailing right now, and half of me longs for that snow duvet of last December which afforded that rare wonder: total immersion. But fair’s fair, and if the plants are pinching my time now, I shall pinch some of theirs to finish my novel in if necessary. Yesterday I planted out my broad beans, and noticed that seeds from my neighbour’s sycamore are spouting everywhere. They can’t wait! Meanwhile, there are thing inside the house that seem to be called me. It’s like having a crowd of needy children some days.